Login to Pro and right away you’re more productive. With the world’s largest exercise and workout libraries at your fingertips and quick access to all your client dashboards and log history, everything is exactly where you need it to be. It just works! Pro will transform your client interactions, communication and most of all, your business more than you could ever imagine. Showcase your training skills using Pro’s extensive feature set. Click, swipe and drag & drop your way to better client progress and increased business, no matter who or where your clients are. How many clients can I track with Pro access? Your client dashboard can keep track of unlimited clients, workouts, and logs. What can I share with clients? Most often, you’ll share workouts you want them to perform on their own. You can also share completed workout logs and if you’re using iOS (iPhone, iPad, iPod touch), all of the Body Stats, Exercise progress or Workout progress graphs, along with Before/After Photo PDF reports. How do clients receive my shared workouts (Remote Training)? 1. For Free to your clients, your shared workouts arrive in a branded email with a PDF workout link. That PDF is branded with your name/logo and contains the exercise images, tips, workout target intensities (reps, sets, weight, notes, etc.) and clickable video links. 2. 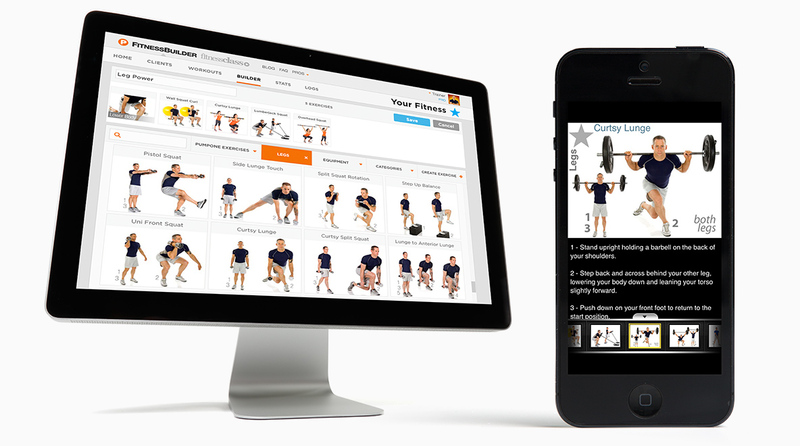 Your clients can receive your shared workouts digitally with Plus access. Plus allows them to login on the web or use the mobile apps to receive, perform and track the workouts. Most importantly, when they save the logs, you’ll receive them synced back to your client logs area for review and progressions. How do my clients get Plus access? Your clients can purchase Plus themselves $59.99/year (50% off). What is the difference between Pro and PT? What is the difference between Pro and Private Label (PL)? Pro is an access level with the Pro tools to be used at Body By Fadi’s Virtual Trainer or on the mobile apps. You can replace the logos with your own. Private Label (PL) is a platform that puts the web version on your website, deeply brands the entire experience and the mobile apps for your registered users and earns you up to 30% revenue on all subscribers. Learn more with a Free Virtual Trainer 30-Day Trail. Private Label does not come with Pro access. You can get any access levels from your own PL Site. Is there a trial for Pro? Yes. New accounts can get a free month of Pro at Body By Fadi’s Virtual Trainer. You can cancel in the Subscriptions area at any time before the trial ends. Note that there is only one free trial per user. If you signed up for a free trial of Plus, you must subscribe to get Pro. I have a training staff. Do they all need Pro? Each of your trainers needs to have their own Pro account. You can use the same credit card for all Pro accounts and they can all use your same branding. How do I add my company name and logo to re-brand the workouts and PDFs? On the mobile apps, tap Settings, Pro and configure your branding. On the web, go to your Profile from the account menu, and set it up there. For best results, email your high-resolution logo (.eps, transparent .png are best) to trainer@pumpone.com. How do I cancel my subscription, or change the billing period? Login to your personal PayPal account and cancel from the Subscriptions screen under the account menu. You can then re-subscribe to a different time period or change your program. When do I get billed, and are there any refunds or credits? The system is self-serve and you have the power to subscribe or cancel at any time. Therefore, there are no refunds or credits. Please make sure you choose the correct access level and/or time period when signing up or subscribing. If you cancel after a new billing period begins, you will continue to have access for the period you paid for. No credits can be given after a time period is processed. Learn how to start up and maximize your health, fitness or wellness coaching business. BONUS: Phone coaching – Limited according to individuals dedication and schedule. *No refunds for this annual business license and coaching program but it’s completely guaranteed. *This offer is limited to 10 qualified Fitness Professionals per year.